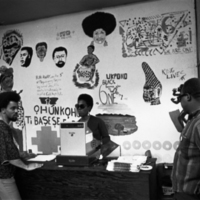 In the fall of 1968 IU graduate student Clarence “Rollo” Turner, in collaboration with other African-American students and faculty, opened a new store in Bloomington. 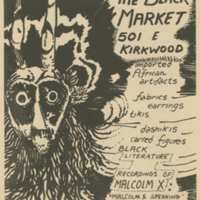 Situated near campus on Kirkwood Avenue, The Black Market sold books, clothing, records, artwork and other crafts made in Africa or by African-Americans. 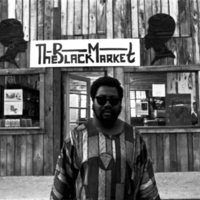 Turner envisioned the store less as a profit-making enterprise and more as a gathering place for students who did not have a place that was uniquely for them. 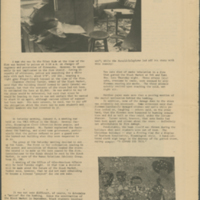 Campus groups and faculty were widely supportive of Turner’s efforts, but reactions to the shop were decidedly mixed among members of the community and even some students. 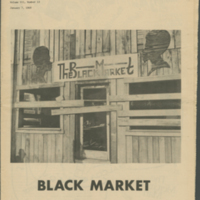 Soon after the store opened, Rollo Turner and other black students reported receiving threatening phone calls, and an editor of the Indiana Daily Student was visited by KKK members who were not happy about unfavorable press. 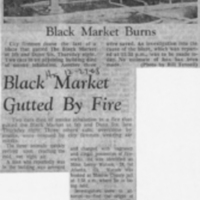 Early in the morning of December 26, 1968 The Black Market was firebombed, destroying the entire store. Eyewitnesses reported seeing a white male throw a burning container through the window and driving away. 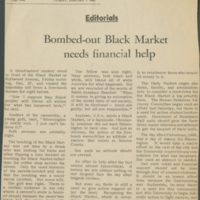 There was little doubt that the crime was racially motivated, as The Black Market was the only business attacked. 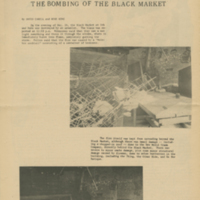 The attack caused tensions to completely boil over in the following days and weeks. In a rally outside the charred shell of the business on January 10, Turner, Kenny Newsome and other students expressed their outrage at the firebombing and other injustices. During his speech Turner declared that peace between the races was dead, and that henceforth Black students were going to “live by the law of God, an eye for an eye, and a tooth for a tooth.”* No violence resulted from the rally, but the message was clear to the administration: larger strides had to be taken to end discrimination or things would get worse for everyone. 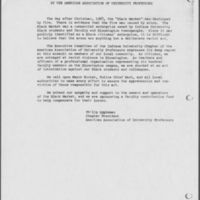 The incident also forced the city of Bloomington to recognize that violent racism was still very much alive in their part of Indiana, and could not be ignored. 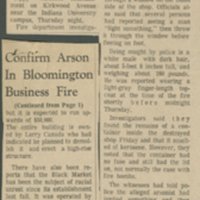 Two local men, both KKK members, were ultimately arrested, tried and found guilty of the firebombing. A third man, a Grand Dragon in the regional KKK, was arrested in the same sweep and was tried on weapons charges. 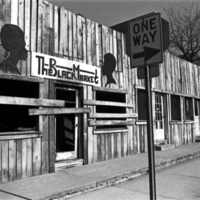 Although various groups collected enough money to help Turner pay for the loss of goods in his store, the Black Market was never reopened. 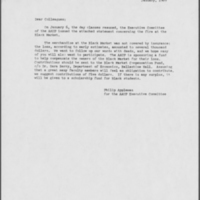 *"Peace Between Races Dead, Black Leader Tells Students." Indiana Daily Student, Jan. 11 1969.